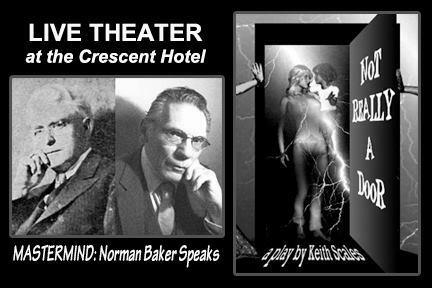 If you love Ghosts then you will enjoy these 2 NEW live theatre productions, performed by professional actors. 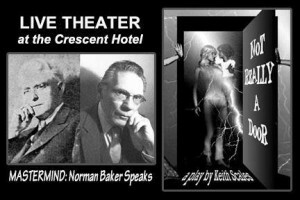 Learn More about Twilight Theatre and Late Night Theatre. All performances located in the Faculty Lounge Theatre, 4th Floor of the Crescent Hotel. September, it’s all about VALUE! SAVE on Weekdays at the Crescen t Hotel! Travel to a mountaintop spa resort and get the same Great Rooms and Service that you find on the weekends but at LOWER Rates on the Weekdays. Enjoy the walking paths and natural springs that is easy walking distance from the hotel. Explore our unique Shops, Galleries, Restaurants and Nightlife. 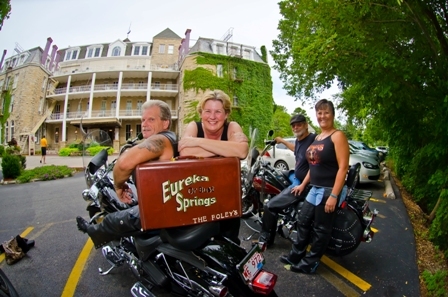 This is also a great time to PLAN A RIDE to Eureka Springs! FUN Things to Do that Friends and Couples can enjoy: BE A LOCAL! Every Thursday night from 5pm-7pm in Basin Spring Park with shopping and dining deals, plus prizes! View the Calendar of Events.